Apparently, a lucrative endorsement deal with Nike isn’t enough. Supporters of Kaepernick the anthem kneeler are trying to get him into the 2018 Pro Bowl after the NFL announced that fans can vote for who they want, and they don’t have to be on an official ballot. I guess Kaepernick might get a chance to disrespect our service members & our fallen, again. “Fans of Colin Kaepernick are said to be organizing an effort to put the former quarterback on the 2018 Pro Bowl roster. The player most renowned for inventing the anthem protests has not played a regular season game since the end of the 2016 season, but Kaepernick supporters are gathering to vote him into this coming game, according to Pro Football Talk. The NFL recently launched a social media hashtag campaign, #ProBowlVote, to give fans the opportunity to suggest a player who is not on the current list of prospects for the game and fans of the former San Francisco 49ers player intend to get him on the roster using that hashtag. Thus far, the NFL has not responded to the Kaepernick campaign nor confirmed if Kaepernick would even be eligible if his name came out with the most social media votes. Traditionally only active league players have been included in the Pro Bowl. This year the NFL is allowing fans to vote for Pro Bowlers on Twitter by using the hashtag #ProBowlVote and writing the name of the player they want to vote for. That means players don’t have to be on any official ballot to receive a Pro Bowl vote. They simply have to have their names tweeted. And Kaepernick has plenty of supporters on Twitter who have begun voting for him. Here are a few of the “votes” so far. Because the NFL has colluded against #ColinKaepernick, Twitter is the only way to #ProBowlVote for him. Every retweet is a vote. We need some big numbers to get this noticed and in the news. 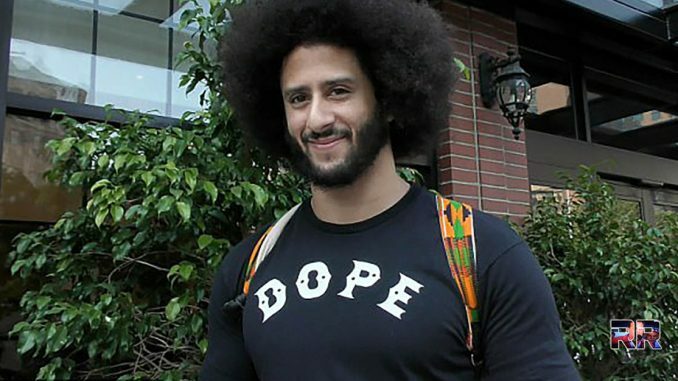 Do you want Kaepernick in the Pro Bowl? Comment below.